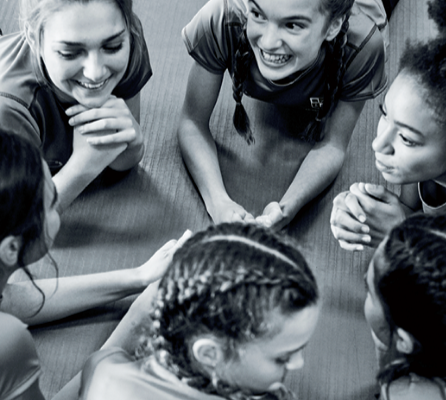 As the leading supplier of curriculum sportswear to the UK’s top schools and colleges, we at Squadkit are driven by a core principle that helping aspiring young athletes to look and feel good is essential to unlocking their potential. There is an increasing pressure upon and within schools to inspire and engage young people in sport. There’s also an increasing understanding that the reasons for disengagement are complex, and they’re often not helped by poor-fitting, low- (or ‘no’!) tech activewear in a social media-influenced world, where high-performance gear that looks good holds a great deal of weight. ● How do we strike a balance between form and function? ● How do we foster an ethos of inclusion in an activewear market driven by ‘exclusivity’? ● And how do we do this in a way that is sustainable for schools, parents and the environment? Squadkit is designed to perform. It’s also designed to work with young bodies in particular, with a firm eye on current trends and cuts. The keyword here is fabric. 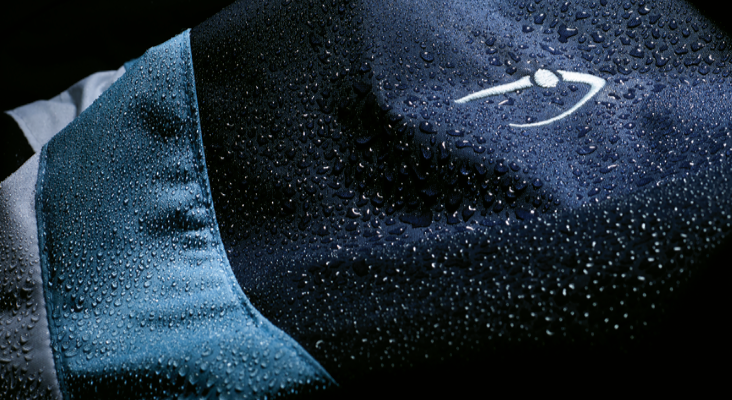 Stormtex is our water- and wind-proof winner, used on both our curriculum and staffwear jackets. Performatex is the main fabric in our shell jackets, and lends itself to a distinctly tailored look. Hydrocool is a wicking playing layer that draws moisture away from the skin: very important with school sports kit! Our base layer fabric, Climaskin, is there to protect the wearer’s skin from abrasions and the elements. We put a lot of thought and research into our fabrics, and our buyers travel the globe to find ones that meet our standards when it comes to consistency, colour-matching and robustness. There are plenty of brands out there who are only too happy to be associated with the elite players. But what about those kids who will never make the first team, who love sport nonetheless? What about those who, when they realise that sport will never be their strongest point, simply give up? Those who just need a chance to develop an interest in getting active? Those whose main wish is to feel comfortable when their body doesn’t live up to an elusive ideal? Sportswear can’t solve any of these. It can, however, help. It can help to support change and a shift towards greater engagement. There has to be a place for both elite and the vast majority that makes up ‘everyone else’, and one where both hold equal, if different, importance. There’s little point in talking about inclusivity if we’re not willing to live it across every aspect of our business. While Squadkit is a relatively small company, we recognise and embrace the fact that we have an important role to play in ensuring that our industry rises to the environmental challenges it faces, and that our own operations have as positive an impact as possible on the world and the people involved. Mirroring our Squadkit positioning statement of Count Me In, we are also unashamed globalists. The trading agreements we have with our suppliers mean that in turn they can offer meaningful employment to their staff, which gives them the opportunity to grow and develop. But this cannot come with a cost to the environment. To this end, we are also investing in dramatically reducing single-use plastics, moving to recycled polyester where we can, and ensuring that our manufacturing processes produce clean waste water and our cotton is sustainably sourced. Squadkit’s ‘we’re in this together’ ethos is one whose time has been long overdue and we hope a welcome change in the school sports landscape.